Sony's console to have the edge? A leading gaming website has reported that the PS4 will be significantly more powerful than the next Xbox, although Microsoft's machine will boast more RAM. 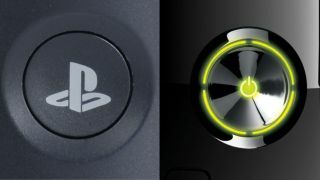 Widely-respected website VG247 has quoted developer sources who have knowledge of the specs for the PS4, codenamed Orbis, and the Xbox 720, codenamed Durango. According to the site the PS4 will have a run-capability of 1.84 teraflops, significantly more than the suggested 1.23 teraflops from the new Xbox. However, when it comes to RAM - not something to be overlooked - the Xbox will have 8GB compared to Orbis' 4GB. Last, but not least, the Xbox will apparently play Blu-ray discs this time, something that was confined to Sony's PS3 in the current console generation. Of course, without official word these specs remain rumours, but there is nothing here that does't have a ring of truth to it, and VG247 certainly has decent contacts within the industry. And it sets the scene or another round of fanboy arguments as to which console represents the better gaming experience. For many gamers, the most important piece of information is just when the new consoles will be arriving - and it looks increasingly likely that both Microsoft and Sony could choose March to make their announcements. That could mean that the PS4 and Xbox 720 arrive in time for the turn of the year in home territories, with the likes of UK and Australia not too far behind.